It has all the makings of a full service Chick-fil-A restaurant: a drive-thru, friendly employees behind a counter, grills and cash registers. But this is no ordinary Chick-fil-A restaurant. There’s no exchange of money (not real money anyway). It’s not in a suburb or off of a busy highway exit. In fact, passers-by can’t even tell it exists. But this is the Chick-fil-A of the future. It’s a place where Monopoly money replaces the U.S. currency, bicycles fill in for cars and employees serve as hungry customers. 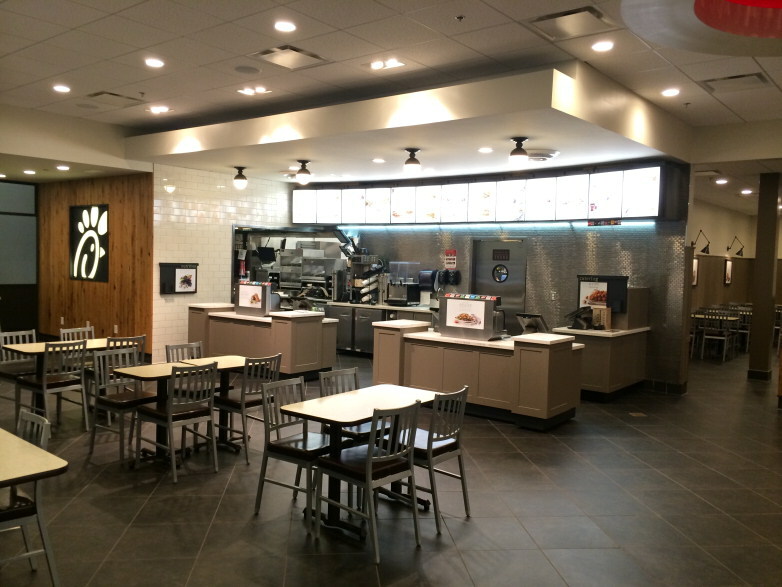 At Chick-fil-A’s home office south of Atlanta, Ga., this restaurant simulator is one of three innovation centers designed to test new ideas and train the restaurant staff. It’s a movie set-like façade built inside what could otherwise be confused for an airplane hangar. And this is where every minute detail of the restaurant – from the wording on the menu boards to the placement of the condiments to the workflow at the drive-thru and counter – is tested over and over again, until the restaurant gets it right. "As a Chick-fil-A staff member and former team member, I see great value in our newest Operators learning the restaurant environment as hands-on as possible,” said Katie Harris, Hospitality and Service Design Coordinator. “While the simulator is a safe yet real restaurant learning space, it is also a lot of fun as staff to see new Operators learn here, getting us even more excited about who we are serving and supporting at the home office." Through the “real-life” setting, “customers” (Chick-fil-A staff) place orders at the front counter and from bikes in the drive-thru. Operators in training are responsible for taking the orders, making food and serving customers - with a few distinctive twists, such as staff posing as law enforcement who should receive discounts and scenarios that throw the flow of business off-track. The training program is designed to teach the new owners how the restaurant operates and develop business knowledge and leadership skills. Want to see the simulator in action? Check out the video below to learn more.